From one shop towns to busy regional cities, the variety of beautiful beach towns in Australia still continues to surprise me. The beach holiday is a truly Australian experience from Great Ocean Road trips in summer to chasing winter sunshine in Queensland. Iconic beach destinations are dotted all over the country from tiny towns to regional cities. 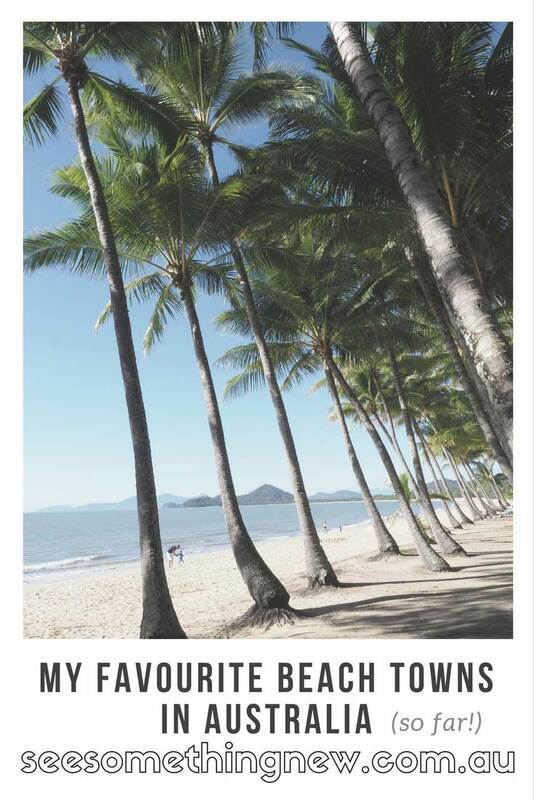 So here is a list of my favourites beach towns in Australia (so far) to get your started on planning a trip. 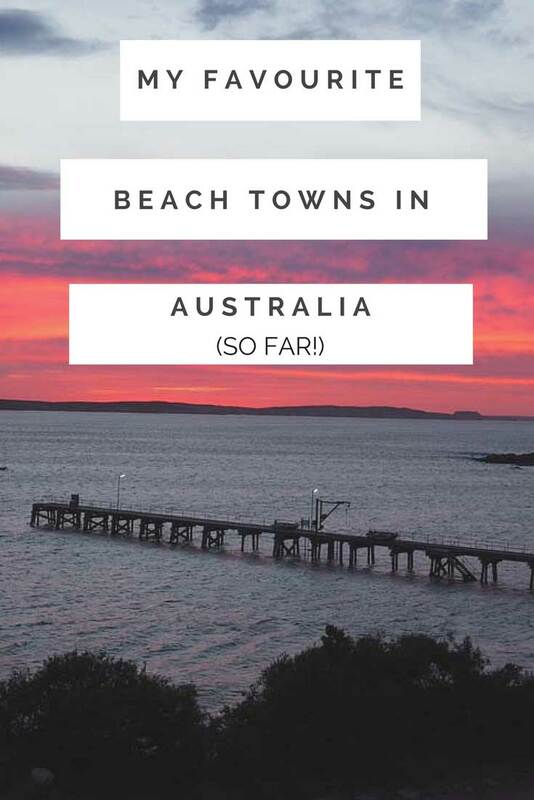 This article was first posted in August 2017 and is regularly updated to include worthy beach towns around Australia! The town of Lorne as viewed from Lorne Point picnic area. Regular readers will know Lorne is possibly my favourite beach town in Australia. This is partly because it’s an hour away from Geelong so I have been holidaying in Lorne since I was five. This may make be a bit bias but I am yet to find a beach town I love quite as much! It’s the perfect destination to explore the beaches of the great ocean road and the surrounding bush. Beautiful bush walks through temperate rainforest and towering eucalyptus treese are just a short drive away. Or alternatively for a relaxed break you can stroll around town and visit the many restaurants with views. 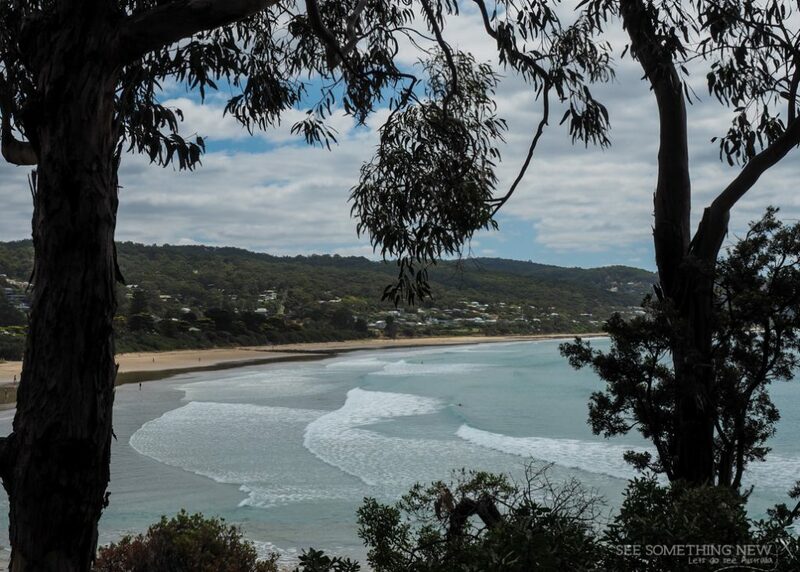 Lorne itself is a pretty town, surround by the Otway National Park and has beach views from the town itself. It’s also easily accessible for a weekend away from Melbourne. Lorne is best visited in summer when the water sparkles and its warm enough to swim. Further Reading: Read a tale about visiting Lorne for a weekend away or check out this fun list of other reasons to visit the Great Ocean Road. 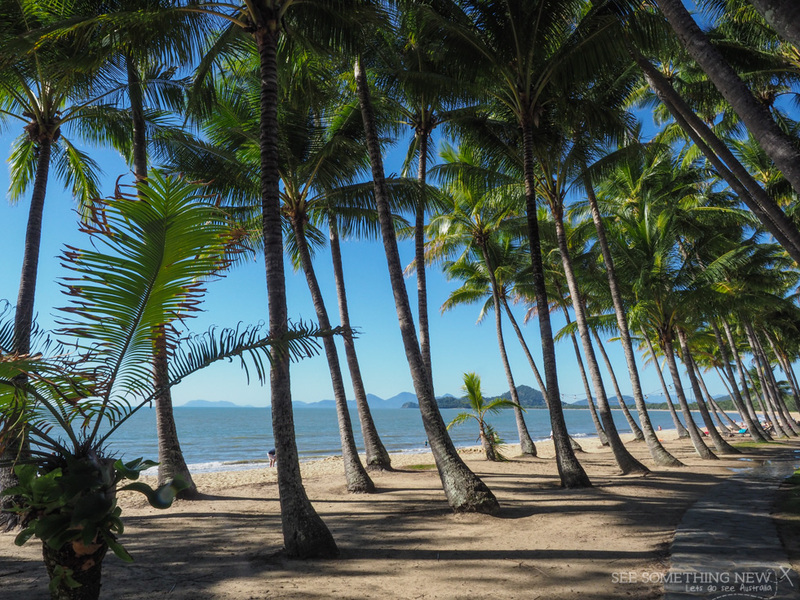 Just 35 minutes from the Cairns airport this tropical town is an easy destination for a long weekend away or a winter holiday. It’s a busy little town perfect for long leisurely lunches and walks on the beach. 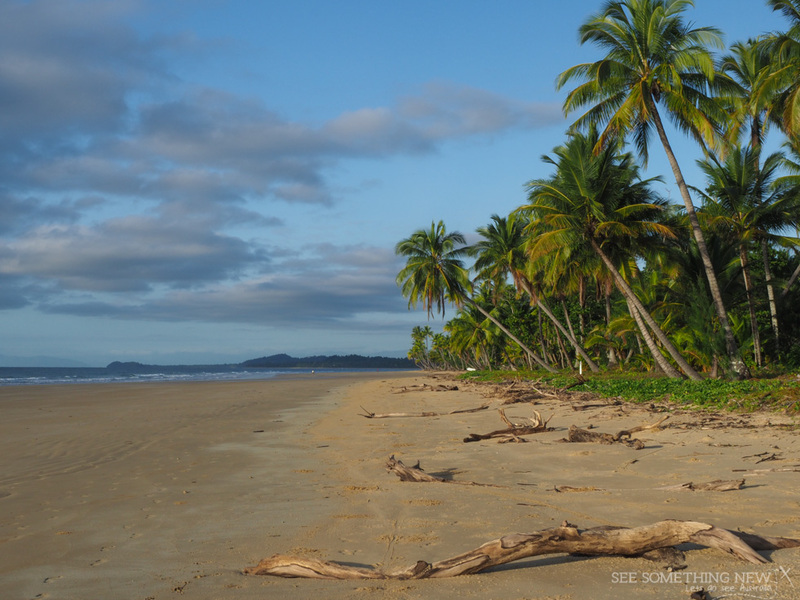 It also has the added bonus of easy access to the Atherton Tablelands and Daintree for day trip adventures. Nearly every restaurant in town has views looking across the road to the beach and there are plenty of restaurants and cafes to choose from. It’s a good destination for couples or groups, some people can laze about the pool bar while others get outdoors on adventures. About 4km from the Broome town centre, Cable Beach has Australia’s most famous beach sunset. 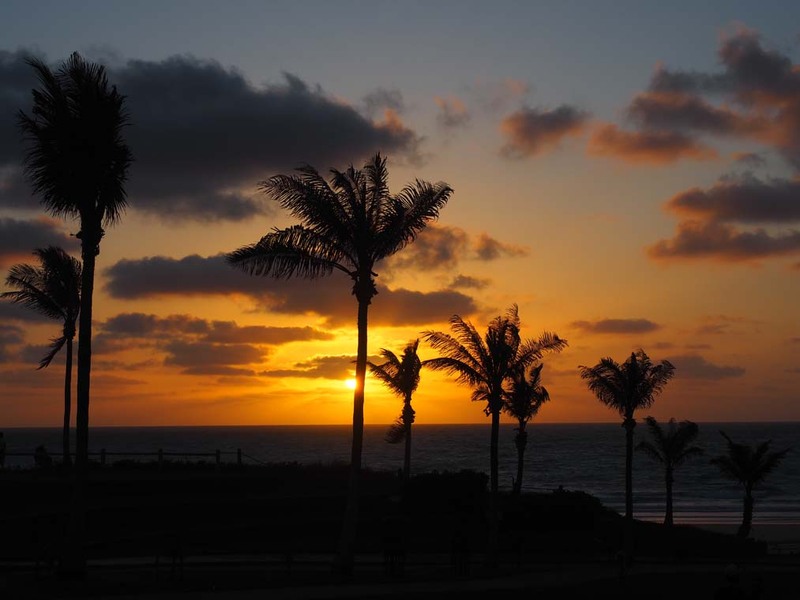 The sun sets over the ocean! This is not something many Australians have seen unless they have already visited the west coast of Australia or an island. Cable Beach is a bucket list destination for most Australian’s and generally the sunsets fail to disapoint. You can watch from the Sunset Bar & Grill, walking along the beach or even drive along the sand and set up your 4wd in the perfect location. Long on my travel list I finally got to visit Mission Beach in 2017 and it didn’t disappoint. It has everything you want for a short break. Mission Beach has a beautiful long beach for morning and sunset walks, the perfect beach view coffee spot & heaps of food choices. With a permanent population of just 830 this all comes in a much smaller and quieter package than nearby Cairns and Townsville. Vivonne Bay is a love beach town in Australia. Plan a holiday on Kangaroo Island in South Australia to visit this lovely little town. Vivonne Bay still holds number one spot on my best sunrises list (admittedly it’s a sort list because I hate getting up early)! When I visited this beach town we woke to the most vivid orange, pink and purple sky you could imagine. This beautiful little town is really more of a collection of beach shacks amongst the coastal vegetation on a nice long beach. There is a tiny service station/general store on the main road which does some basic takeaway like fish and chips. A red dirt road runs along the foreshore contrasting with the creamy sand and blue water. You can access the beach from the campground via a sandy track through the dunes. If you would prefer to stay in accommodation there are plenty of options on Airbnb or Stayz. Visit for nice long beach walks, fishing from the jetty and on the right day the beach theres even a small beach break. There are possible prettier beaches on Kangaroo Island but this was the nicest one with a campground. 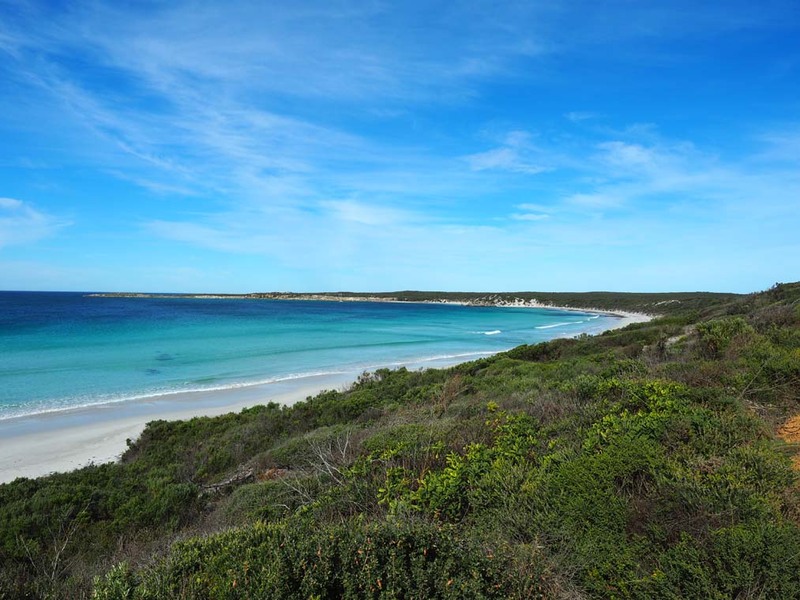 For all these reasons it was my favourite beach town on Kangaroo Island! Stay tuned, I have plenty more beach towns to add to the list!